SB Nation offered a good article on Coach Mike Eaves Wisconsin Badgers tilt against Denver this upcoming weekend. A schizophrenic badger squad had a slow start but may be turning the corner - just in time to play Denver. Denver has always played well at the Kohl Center so it will be another road test for the Pioneers to see if they can continue their road dominance against Bucky. 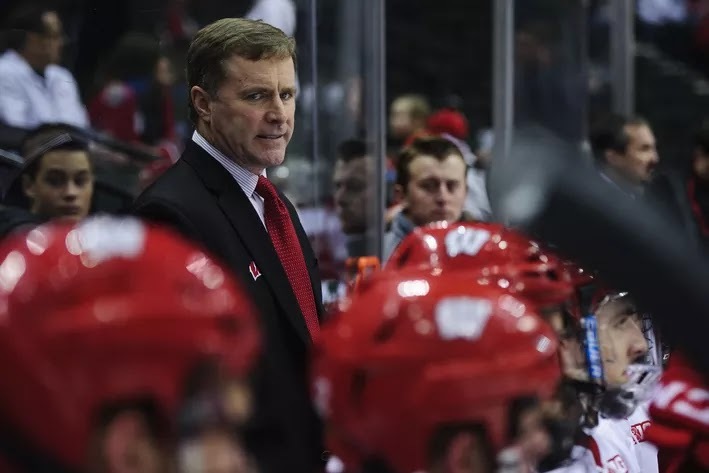 Wisconsin men's hockey coach Mike Eaves was walking around the Kohl Center recently when he ran into longtime electrician Ed Walsh, and something Walsh said has stuck with Eaves as the Badgers (3-4-3) prepare to host No. 9 Denver (6-3-1) this weekend. "He said, 'well you beat North Dakota, the No. 1 team in the country. I guess that means you can beat anybody now,'" Eaves recalled. "We took that message to the team and we set a new bar for ourselves." "I think that that's something we're going to go after every weekend now after the way we played there." Look for LetsGoDU's weekend preview later this week. DirecTV says Friday's game will be live on channel 628-1 on DirecTV, New England Sports Network Alternate.